Synopsis : Indian Bankers Association ( IBA ) conveyed to member banks the new offer / quotation issued by United India Insurance Company for the renewal of group health insurance policy to retired bankers effective from 01.011.2018 . ( Read the news below ) . In view of steep increase in premium by 75 % and as , many retirees expressed their inability to pay high premium due to low pension they are receiving . we checked the internet to find if any alternative plan is available to the plan offered by united India Insurance Company . The quotation of UIIC itself had some discrepancies like ( 1) additional premium amount for domiciliary was more than the insurance amount , and (2 ) different quotations for retired clerks and retired officers for the same amount of insurance cover . We could find some insurance companies are offering insurance for senior citizens and we also could find quotations for various age groups of senior citizens on their websites itself . Hence we have compared the premium quoted by UIIC with the other plans available on the internet . We took an uniform health cover for Rs 3.00 lakhs for two persons as offered it is offered by UIIC for both retired clerks and retired officers for comparison purpose . To help the family pensioners who need insurance for only one person , we compared individual insurance plans of various insurance companies with that of UIIC . As most of the quotations vary with age , we have taken quotes for people of different ages for comparison purpose . One can go through the comparison and come to their own conclusion about the suitability of any plan . News dated 10.10.2018 : Indian Bankers Association ( IBA ) vide their circular dated 09.10.2018 has advised member banks to renew the group insurance health policy for the interested retirees , on their paying quoted premium , from 01.11.2018 to 31.10.2019 as per the new quotation issued by public sector insurance company United India Insurance Company . However circular leaves the choice to the member banks for seeking quotation from any other insurance company and approving any other scheme at their level . The room rent charge has been restricted to Rs 4,000 per day in the renewal proposal . 2. For retiree officer , premium with domiciliary is Rs 82,373 with policy of cover of Rs 4.00 lakhs and Rs 78,236 with policy of cover of Rs 3.00 lakhs including tax . 3. For retired clerk , premium without domiciliary is Rs 21,595 for a cover of rs 3.00 lakhs and Rs 20,323 for rs 2.00 lakhs cover including tax . 4. For retired clerk , premium with domiciliary is Rs 61,784 for a cover of Rs 3.00 lakhs and Rs 57,647 for Rs 2.00 lakh cover including tax . DOMICILIARY COVER : If the domiciliary limit continues at 10 % of the insurance cover , the additional premium quoted for domiciliary policy is more than the domiciliary cover . For a domiciliary cover of Rs 40,000 for a retired officer , additional premium quoted is Rs 53,581 . Similarly for retired clerks , additional premium demanded is Rs 40,189 for domiciliary cover of Rs 30,000 . No one would like to pay a premium more than the cover amount and hence the quotation becomes redundant . 1. Group policy provides 100 % cover and no co-pay is expected and there is no waiting period . 2. Pre- existing medical condition is accepted for the purpose of cover . 3. No medical test is required for renewal , while going in for any other cover may require a medical approval . ( There are some exceptions ) . 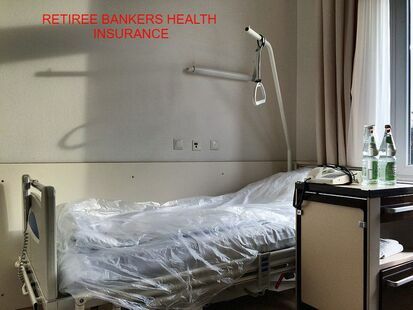 PREMIUMS QUOTED FOR FOR INDIVIDUAL HEALTH INSURANCE COVER FOR Rs 3.00 LAKHS . 1. IOB Easy health policy ( in association with Apollo Munich ) is the cheapest option for both floater policy as well as individual plans among the various plans compared for the senior citizens up to 70 years . There is a waiting period of 12 months for certain conditions and 36 months for pre-existing conditions . Additional condition is that policy holder has to be customer of Indian Overseas Bank . 2. Star Health Red carpet is the cheapest option among individual plans among the various plans compared for the senior citizens between 71 years to 75 years . There is a waiting period of 12 months for pre-existing conditions . 3. In all other cases , whether for a family pensioner or Retirees with their spouses , United India Insurnce Company - Group policy is the cheapest among the plans compared . 4. If any one wants to migrate to any other insurance cover from the group plan already enrolled in , it will be good if he / she has no pre-existing medical condition which warrants a waiting period . 5. Migration from group cover to individual cover will not have portability benefits . 6 . All the senior retirees aged above 75 years , there is no other option other than renewing the existing group policy being the cheapest offered to them . As their pension amount will also be much lower than the new retirees , it is really disheartening situation for them . 7. Retirees / family pensioners below the age of 70 can consider switching over provided they are healthy , having no pre- medical condition . Just a cheaper policy may not be the right policy as it may have many strings attached to the terms and conditions , co-pay conditions and other terms . Further they have to check the suitability of any other plan to their personal conditions with regard to availability of cashless hospitals near the place they reside . Hence they have to take a studied decision before considering any change in their insurers . 8 . Each plan comes with various terms and conditions , inclusions and exclusions . Please go through prospectus to find whether the policy does not contain clauses that are adverse to you and and will make the cover unavailable for your claim / hospitalization . Readers are welcome to bring to our notice any other insurance company / plan offering cheaper / better than the plans compared above . We shall be glad to add such policies in the list compared . We do not have interest in any of the insurance companies and the observations should not be treated as recommendation for any plan / scheme . Readers are advised to make independent enquiries and decide up on suitability of any insurance plan . Health Insurance policies are issued by specialised Health Insurance companies , Life Insurors as well as General Insurors .